For SIHH 2019, Greubel Forsey returned with its smallest horological marvel yet — the Balancier Contemporain. Bearing certain thematic similarities to the Signature 1 — another time-only wristwatch released in 2016 — the Balancier is immediately distinct from the majority of Greubel Forsey’s creations thanks to its time-only function and lack of complications. Strictly speaking, at over HK$1 million, it isn’t exactly fair to call it an “entry level” watch — at least by average market standards — although the Balancier’s accessible sizing and relative simplicity make for one of the most comprehensible Greubel Forsey releases to date. Make no mistake, this is still classic La Chaux-de-Fonds watchmaking through and through: merely streamlined for the benefit of a bigger and more diverse audience. A top-down perspective of the Balancier Contemporain: note that rather than affixing the hour & minute hands directly to the sub-dial, Greubel Forsey opted to mount them to a tripod which enables wearers to see the cutaway motion works below. In the metal, the first thing you’ll notice about the Balancier is its size. For a brand that habitually makes über-complicated timepieces measuring upwards of 44mm, the Balancier represents a dramatic shift in the direction of reductivism. At 39.6mm in diameter, it is Greubel Forsey’s smallest timepiece to date, and adds to their portfolio a very sober, non-intimidating daily wearer. To further enhance wearability, the brand have done away with the single, double and quadruple tourbillons that traditionally define Greubel Forsey’s oeuvre. Instead, a comparatively streamlined aesthetic consisting of the essentials takes centre stage. 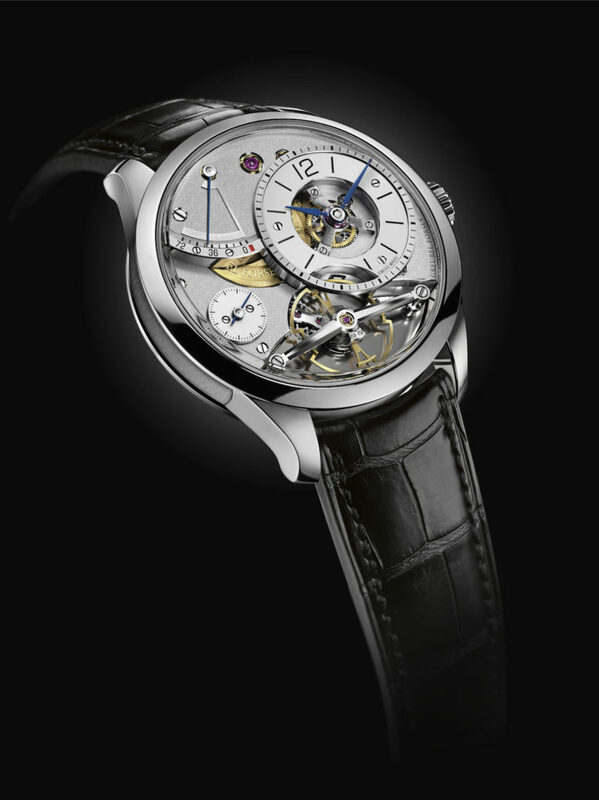 I use the word “comparatively” because the Balancier is still, after all, a Greubel Forsey watch. All of the brand’s creations are redolent of miniature cities under glass; and while the Balancier doesn’t possess the dioramic complexity of say the GMT Earth, it features its fair share of three-dimensional multi-level architecture. In order to evoke the classic Greubel Forsey dial arrangement, the Balancier Contemporain puts its balance wheel into the literal forefront, with a 12.6mm wide bridge bearing design. One of the more interesting side effects of the Balancier’s dial architecture is how much less of the movement is actually visible from the caseback. 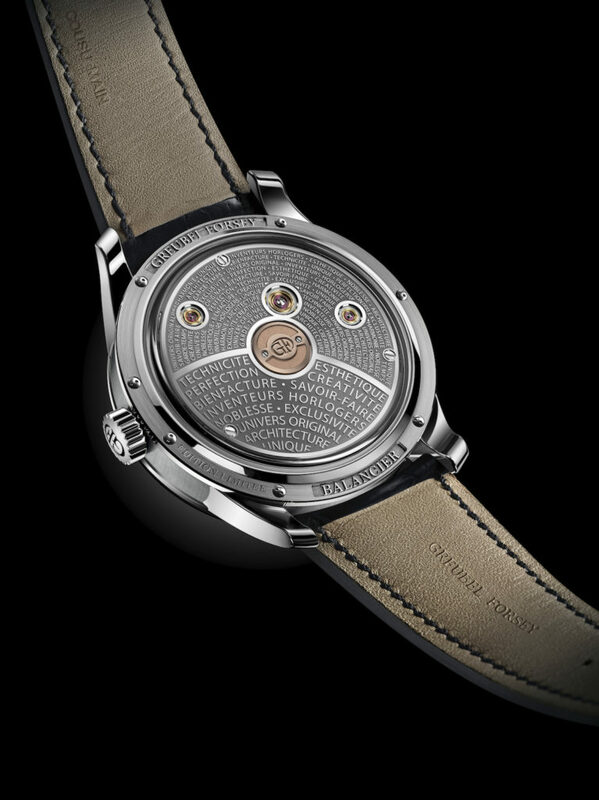 Traditionally designed as the window into the heart of mechanical watches, the team at Greubel Forsey have opted instead to use the “movement side” as the canvas for recording their horological manifesto. Relief-engraved text is yet another hallmark of the brand, and here it’s executed with all the aplomb we’ve come to expect: declarations of “savoir faire” and “technicite” are directly etched onto the watch’s mainplate, the latter itself made from black-polished gold that is then bevelled and studded with three gold chatons. As with all of Greubel Forsey’s creations, the brand’s manifesto features prominently as a decorative motif on the Balancier Contemporain. This iteration is directly relief engraved onto the movement mainplate, speckled with three large chatons. 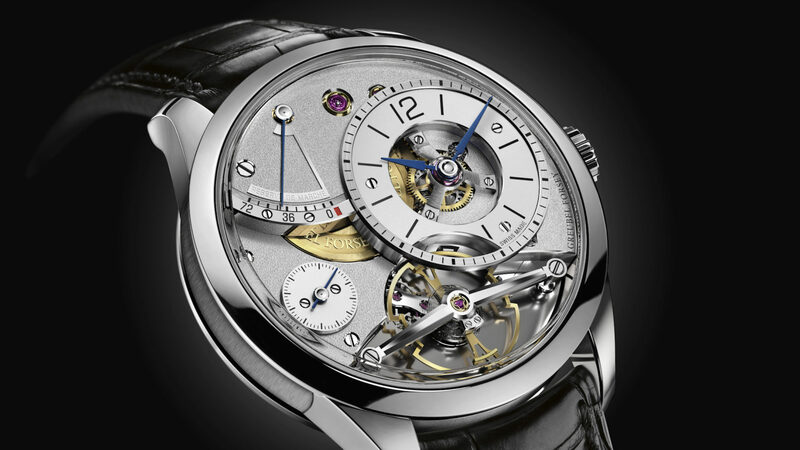 In lieu of the more recognisable tourbillon, the Balancier is equipped with Greubel Forsey’s proprietary balance wheel. Clocking in at a whopping 12.6mm, it channels the brashness of its more complicated cousin without skimping on precision: the wheel itself is of the freesprung variable inertia variety; while an overcoil is used for the hairspring. A series of six recessed screws are affixed to the design in order to further reduce friction, while the organ is secured in place by a bridge that is reminiscent of a traditional tourbillon carriage. Not all of the performance enhancing components are necessarily visible, however. A quick downward glance at 10 o’clock reveals that the Balancier operates on a 72-hour power supply. The mainspring is capable of storing so much energy (especially in the context of a manual timepiece) thanks to a series of linked barrels. These are then fitted with a clutch system that prevents overwinding (i.e. power wastage), akin to the kind you’d find in a self-winding movement. While the Balancier Contemporain shown to assembled press at SIHH 2019 is currently available in a limited allocation of 33 pieces in white gold, a more extravagant variant will also be produced for those who favour diamonds and pearls. 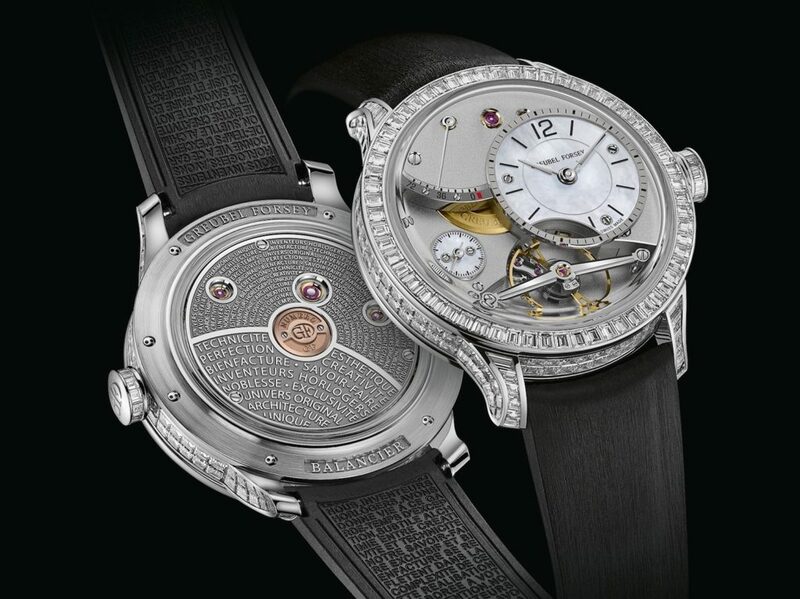 The latter features 232 baguette-cut diamonds set across the flanks, lugs and bezel, and trades visibility of its movement works for a solid mother of pearl dial. The one notable trade-off is that this setting expands the Balancier’s overall case dimensions to 41.6mm. When you’re working from a 39mm blueprint, this relatively minor size increase can appear disproportionate on the wrist. 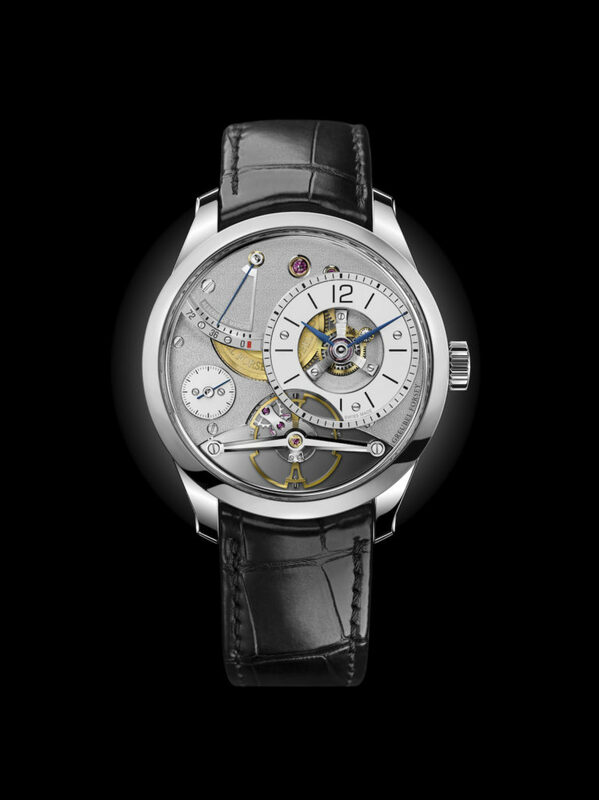 The Greubel Forsey Balancier Contemporain is now available for (approx) HK$1,530,000 in a limited release of 33 pieces. To find out more, visit Greubel Forsey online.